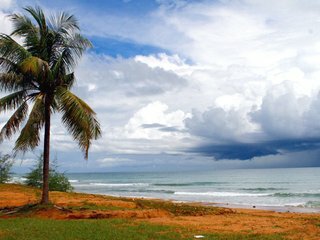 Phu Quoc Island is small, but there are so many things to see that it will take you a while to get through all of them. Of course you can stay at one of the beautiful beach resorts on Phu Quoc Island for your entire vacation, but seriously, you should go out and check some of the attractions and sights, that Phu Quoc Island has to offer. 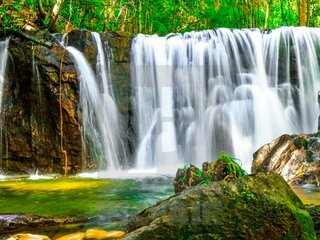 Since around 70% of the land area of Phu Quoc Island, as well as parts of the surrounding sea are protected national park area, nature is one of the primary sights on the Island. Most of the national park zone is off-limits, but at certain points you can try to get a glimpse of rare species that are unique to Vietnam. 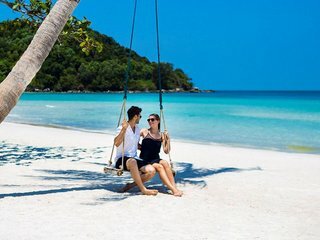 Other than that, Phu Quoc Island has a variety of beautiful beaches that range from the busy Long Beach north and south of Duong Dong, the white-sanded Sao Beach and the South East, to the tranquil and hidden beaches nestled in the North West. You can walk through the forest and admire the leafy green of the jungle near Ganh Dau or visit the picturesque Fairy Stream. Check out our “Nature on Phu Quoc Island” section for more information and tours! There are markets in every major town of Phu Quoc Island, but the best choice for the traveler who wants not only to shop for souvenirs, but also to admire a busy, Asian night market and sample the local delicacies is the Dinh Cau Night Market. 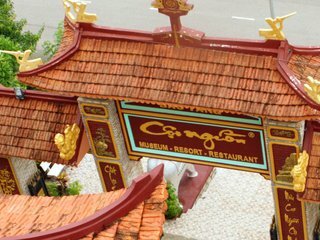 There is only one museum on Phu Quoc Island, Coi Nguon Museum on Tran Hung Dao street. But, as you can read in our listing of Coi Nguon Museum, it’s definitely worth a visit, if you like to know more about the history of Phu Quoc. Phu Quoc Prison also has the flair of a museum and shows the terrible conditions in which prisoners were kept there. Premier points of interest on Phu Quoc Island include visiting a pearl farm, fish sauce factories and pepper farms, since these are the main products that Phu Quoc is famous for. Phu Quoc Island has a variety of temples and pagodas that are popular sightseeing spots for tourists. 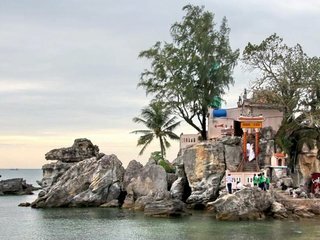 Dinh Cau, built on the rocks next to the harbor of Duong Dong, is probably the most picturesque sight on the island. Nguyen Trung Truc Temple up North near Ganh Dau is dedicated to Nguyen Trung Truc, a leader of the resistance against the French occupation. Sung Hung Pagoda is one of the oldest pagodas on Phu Quoc Island and also worth a visit.